What are VIP cards for? VIP-card owners are credited with large amount of gold and crystals after the purchase, while their energy meter increases manifold to accumulate more energy. Any card is valid for 1 month only. « How can I make an unmanned aircraft land? 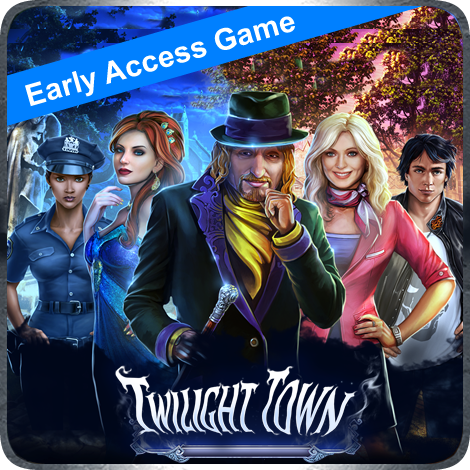 We’re working on a new game Hidden Objects: Twilight Town, and we would appreciate your participation in our Beta Testing Program (Google Play only). "I enjoy hidden objects games so I decided to try this one...it was free after all. It surpassed all my expectations with all the quests and mini games. This is a must have"
"love this game and love the fact that u dont have to pay to continue after a few levels unlike some other hidden object games!! Hope to see more games like this"
"Please make another great free game like this :)"
"Lots of interesting historical facts are part of this game. The graphics are great! Time Gap is fast paced and has many different types of puzzle games." "Time Gap has a different approach to hidden object games and I'm glad I chose to give it a try! You should too, you won't be let down!" "totally cool lots of fun lots of stuff to do ;-) "
"I always liked hidden object games and this one is one of the best I have ever come across! Spent hours go by playing it!" "I am really enjoying this game! So far it has kept me entertained. That says a lot because it has so many games in one. Keep up the good work. I am a fan! " "So far so good, keeping me busy and the energy recharge isn't so long, allows me to play on and off through a busy day without being too overwhelming on time or underwhelming for content." "The game is better than I thought it would be. I've played other games like this but this one has a cool story that goes along as you play on." "I have enjoyed playing this game with my daughter. Lots of levels and areas to explore."